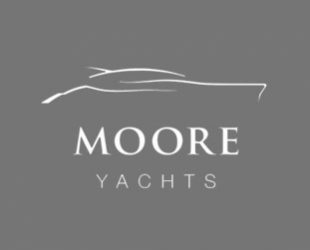 Created in 2004, Moore Yachts is an independent brokerage, which prides itself in experience, combined with the knowledge and the care required to assist our clients to a successful sale. Based in Poole Harbour, our professional yacht brokerage services cover the South Coast of England and further services offered throughout the UK and Internationally. We advertise all of our listings Internationally on the top websites, and strive to provide exemplary service throughout the whole process of acquiring or selling you a vessel, combined with the highest level of professional standard. Having worked with a diverse range of boats of up to 120 feet we have gained extensive experience in the industry, we have been able to build up strong working relationships with a number of well-established companies offering additional services such as marine financing, insurance, marina berthing, boatyard services, delivery, shipping & transportation, and tuition. Principal yacht broker Christian is himself a long established boating enthusiast having grown up on the shores of Poole Harbour and the Solent on his father’s classic Powerboat. 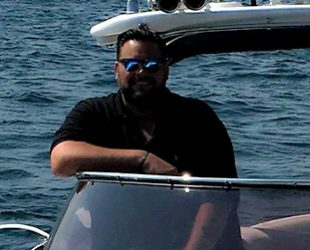 Christian served an apprenticeship in Marine electronics on both pleasure and commercial vessels and then went on to work for some of the largest motorboat dealers in Europe selling new Sunseeker, Ferretti, Pershing & Sea Ray boats as well as a multitude of other brands on a brokerage basis. Christian has served as the President of the YBDSA, Chairman of ABYA and is an active committee member for ABYA and the BMF. He often attends and completes specific courses relating to Yacht Brokerage and the latest practices and is a participant in the ABYA Continuous Professional Development Programme as well as holding the “Boat sales qualification” administered by ABYA and the BMF. Well known for his integrity and knowledge along with business sense and ability to find solutions when dealing with difficult cases, Christian is a great source of information and is often relied upon by many colleagues in the industry when a solution is needed. When not enjoying boats and the pleasures they bring, Christian has a keen interest in Formula 1 Motor Racing, Golf, Clay Pigeon Shooting and spending time with his family and friends. Wendy, Christians Wife provides back up and support for Moore Yachts and is vital in making sure that everything runs smoothly. Wendy has worked with Christian for over 10 years and is instrumental in keeping Christian focused and the office organized. When not working Wendy spends all her spare time with their 3 lovely children and beloved Cocker Spaniel Rosie. Rosie generally does whatever she likes!